The exhaust system has to clean the exhaust gases, which flow out of the engine's cylinders. Also it has to absorb the sound generated by the emitted fumes and to direct the gases to a suitable point to the outside. Parts for the exhaust of your Porsche you will find here. You may need these parts as spare parts or for technical and optical upgrading your car. There are pre - muffler, muffler - tips, differerent kinds of tail pipes and heater control box valves. Porsche are cars made for high speed. Enjoy this and be sure, that the brakes are in a perfect technical condition at any time. 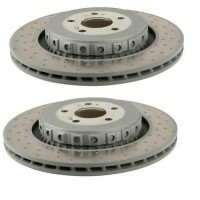 Brakes are intended to stabilzie reliably your vehicle in critical situations - may be, your life depends on your brakes. 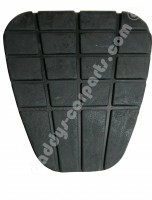 For this purpose we offer brake discs, park brake shoes, brake pads and other brake parts. 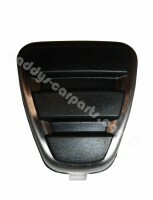 Pedal cover for the brake pedals, park brake lever and more complete the offer.